Sory Kaba joined the A.C. INTERSOCCER MADRID in September 2012, where he had the first record of his life as a soccer player, playing in the Amateur team in Regional Third then of the academy, scoring 26 goals. In the following season he went to Juvenil B of Alcobendas Levitt C.F. -club of which is subsidiary Intersoccer-, from where he spent in the middle of it to the first team of the club getting the promotion to the Third National Division and being a key player in the promotion. In that first green team he played during the seasons 2014/2015 and 2015/2016. Meanwhile he continued his daily training program – studies in special school, learning Spanish, morning technification … – in the academy with headquarters and residence in Alalpardo. Within this program in the A.C. Intersoccer, in a tour in December 2015 to play friendly matches for Alicante and Murcia aroused the interest of several professional clubs in those areas, finally signing in January 2016, by direct management of the A.C. Intersoccer, by the historic club Elche C.F. In the Elche club he had the fortune to be able to find a very favorable environment and means to continue his training and progression. Thus, while he was part of Elche Ilicitano of the Third National Division, in turn, he received customized training of specific technification to properly channel and polish his great possibilities of becoming a higher level forward. His great progression became true and in his second season there he debuted in the first team in April 2017, still the same in Second Division A. 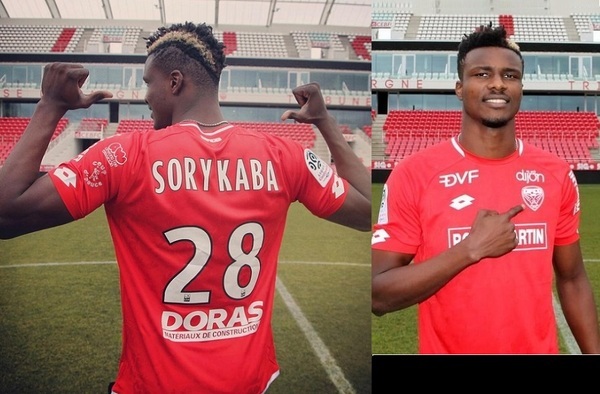 Lost the category, during the season 2017/2018, Sory Kaba became an outstanding player of a team that brilliantly from the Second B, in June of 2018, returned to the league 1 2 3. During the current season, before signing on January 31 for the French club Dijon FCO, the player had scored 8 goals with the elastic franjiverde and had been part of the team of the national team, Guinea Conakry, as a starter. in November of 2018 he qualified for the African Cup competition to be held in Egypt during the next month of June. 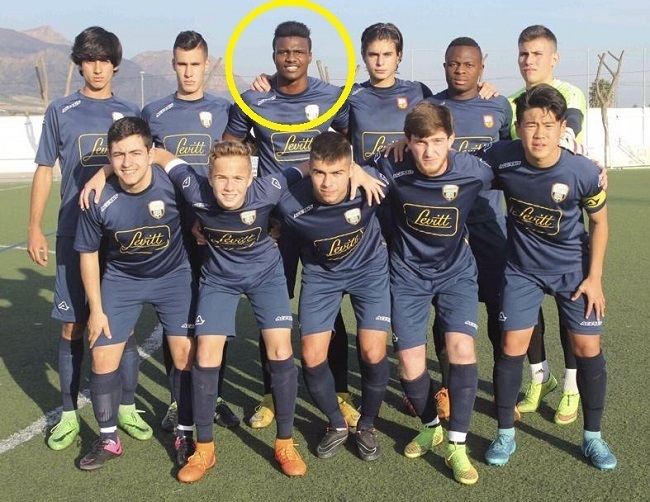 Sory Kaba is the second student of the A.C. Intersoccer Madrid that, in the trajectory of this -10 years, becomes part of a professional club of European First Division. The previous one was Pierre KUNDE, who signed for the club Mainz 05 of the German Bundesliga in July 2018 and where he is making a spectacular season. These fortunate and happy realities, along with those of former alumni who are currently playing in Second Division B and Third National clubs, together with the progression of the amateur and youth teams of A.C. INTERSOCCER and the work of daily technification in Alalpardo make it possible that, after ten years since the launch of an exciting private adventure of football and human formation, all of us who make up the A.C. InterSoccer Madrid we feel happy and responsible to continue in the help able to continue to emerge facts and realities of professional footballers in children and young people from Spain and from any corner of the world who before the arrival to the academy only manage dreams and determination necessary to be able to face with a lot of work and sacrifice to its adequate soccer and human formation. The method of A.C. INTERSOCCER is not based on giving priority exclusively to the categories, it is based on learning, handling the times properly, fleeing from capricious rush and giving a special place, a leading role, to trainers perfectly trained for soccer and human teaching of the young students. 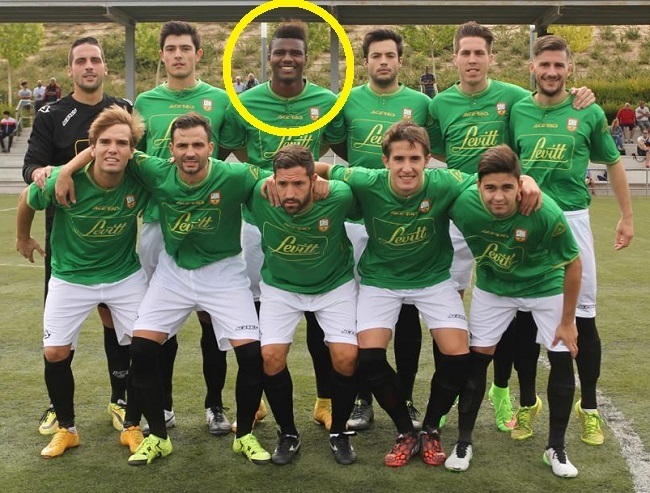 Sory Kaba, a clear example of this, played in the third regional amateur; In preference of youth, he never played in the national category of youth and yet, now, after his necessary training, his essential journey, going through the first team of Alcobendas Levitt and triumphing later in the league 1 2 3 with the franjiverde del Elche CF, has reached the Ligue 1 of France. Thanks to the club Alcobendas Levitt C.F. for helping us in this wonderful adventure. 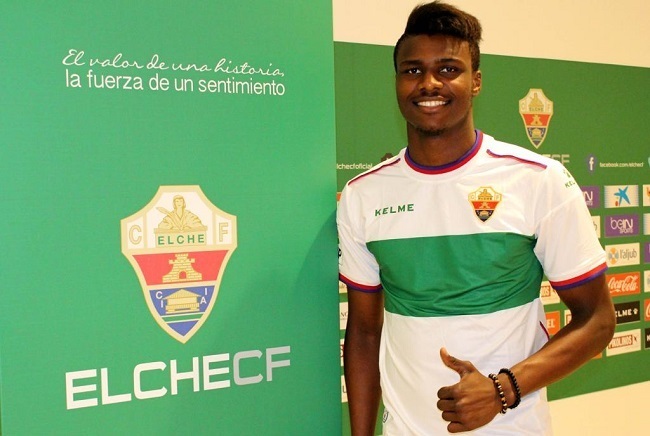 And thanks to Elche CF, a professional club that trusted our project since 2016 and with a generosity and patience without limits in means and material and human resources at the disposal of Sory Kaba, who has already become a great professional forward there, has made possible the one that the Dijon CDF has noticed him.